Minister for Industry, Trade and Tourism Faiyaz Koya says nine million dollars has been allocated for 58 projects to improve the livelihood of people. 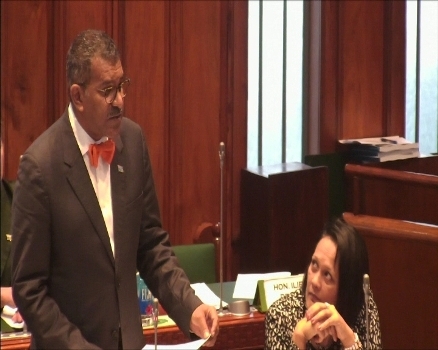 Koya was responding to a question in Parliament from Government MP Ashneel Sudhakar. “The national export strategy is specifically focused to exporters or businesses on the verge of exporting to develop their export capacity therefore a company needs to be in business for at least two years in order for them to be eligible to qualify for the grant. Through this initiative the export that is provided will financially support to allow them to upgrade their existing infrastructure or to procure value machinery and equipment that will enable them to meet standards required by these international markets”. Koya says the national export strategy is an important initiative of the Government to enable exports to achieve competitors and export diversification and growth in the international market. Sudhakar asked the Minister to explain how the National Export Strategy benefited exporters and businesses.